This morning, the Summer Jobs students traveled to the John Adams Courthouse for a tour of the courthouse and a meeting with Associate Justice of the Supreme Judicial Court Margot Botsford. Highlights of the morning included touring exhibits on John Adams and the Sacco and Vanzetti Trial and meeting with Justice Margot Botsford to learn more about the legal system in Massachusetts. Beyond the Billable asked Lauren Galloway, a rising senior at Boston Latin Academy and intern at Pierce Atwood, why she enjoyed the session. 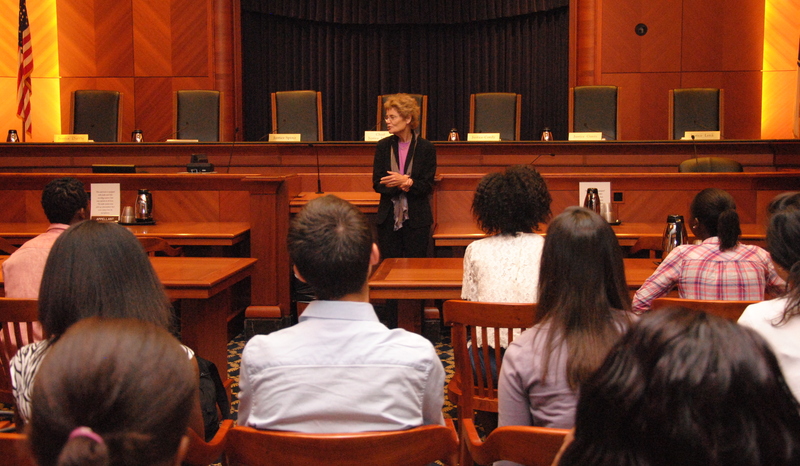 The Summer Jobs students met with Associate Justice of the Supreme Judicial Court Margot Botsford to hear about her career and the legal system in Massachusetts. 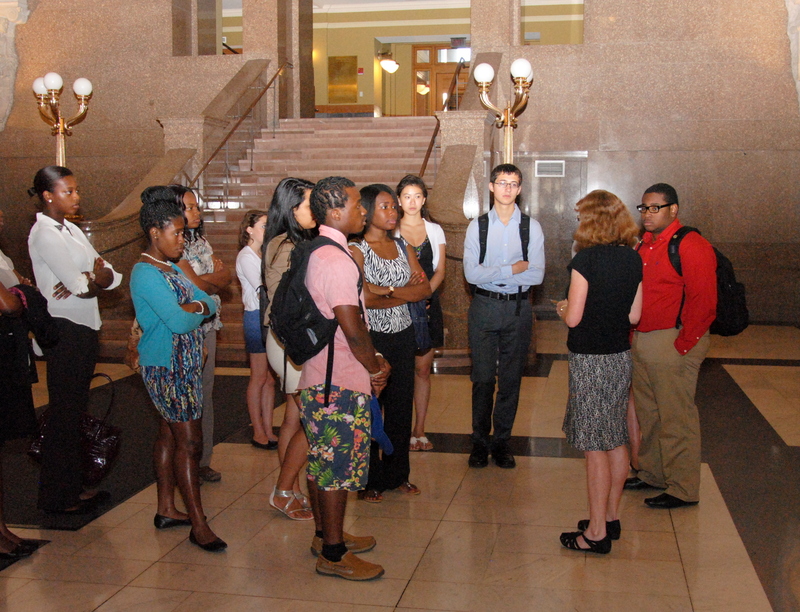 Students toured the John Adams Courthouse this morning. The students will return to the John Adams Courthouse on August 22nd for their graduation ceremony.